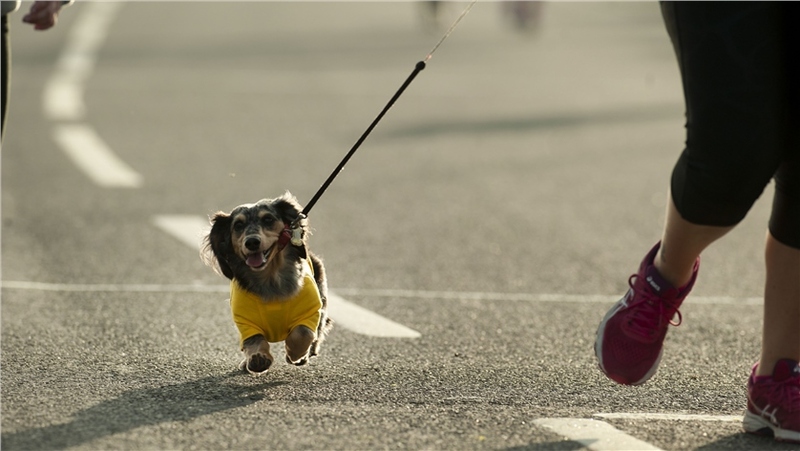 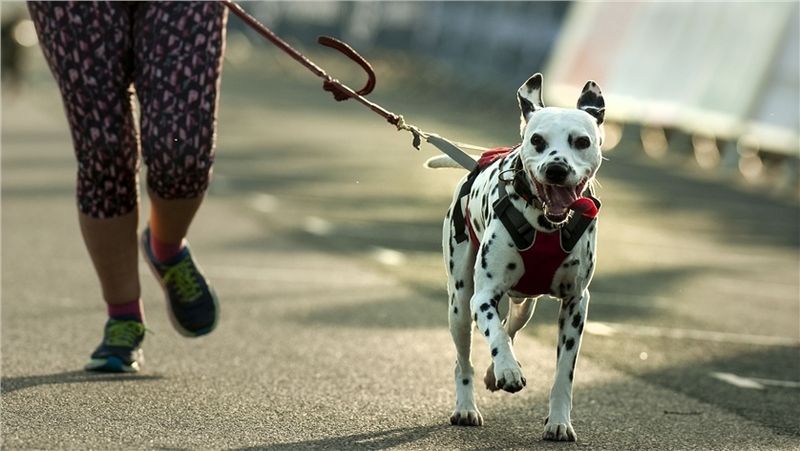 It’s not just humans who love running, dogs love it too! 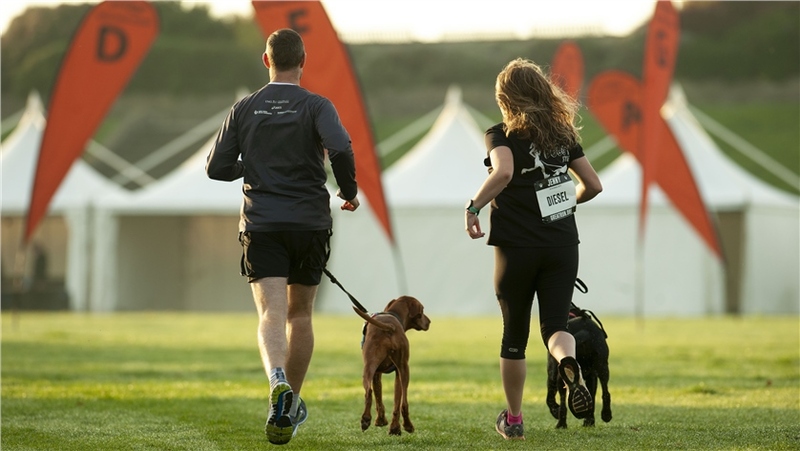 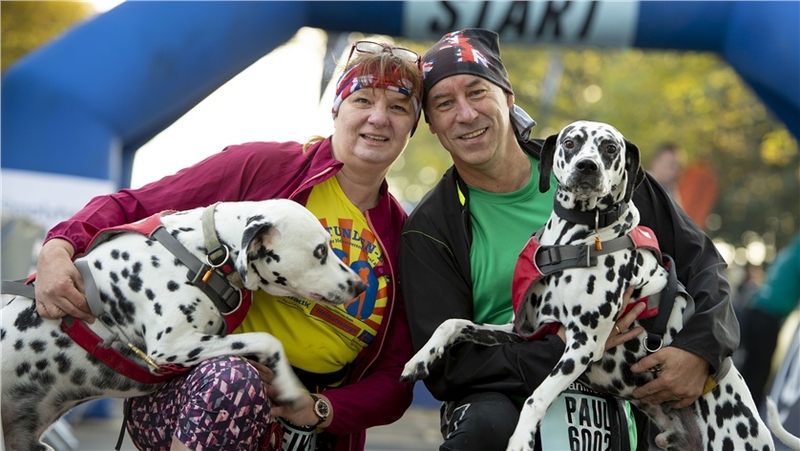 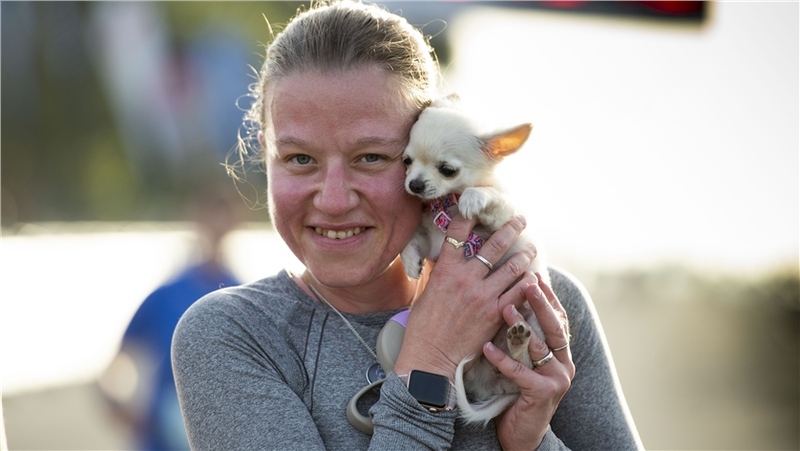 Get fit with your four legged friend and grab your place in this sell-out event. 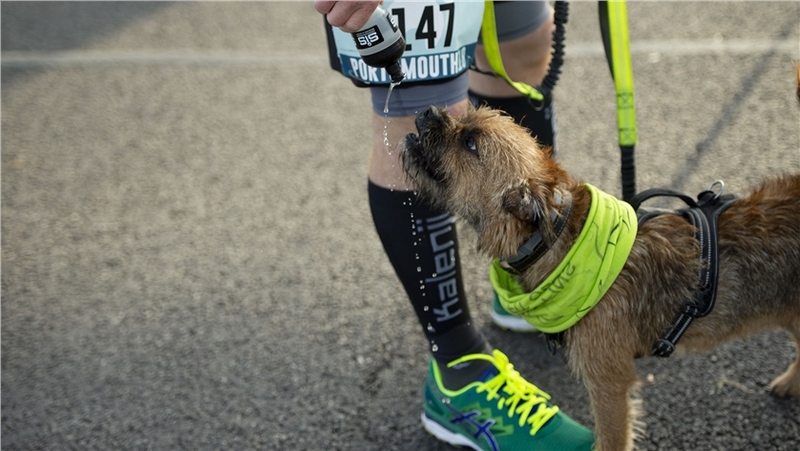 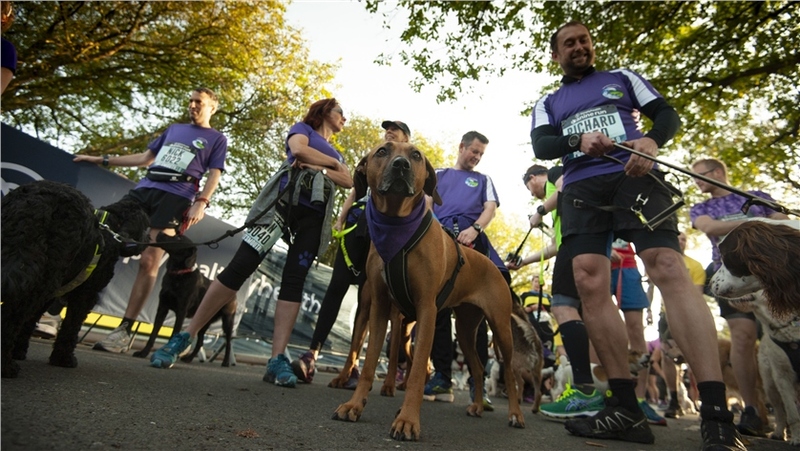 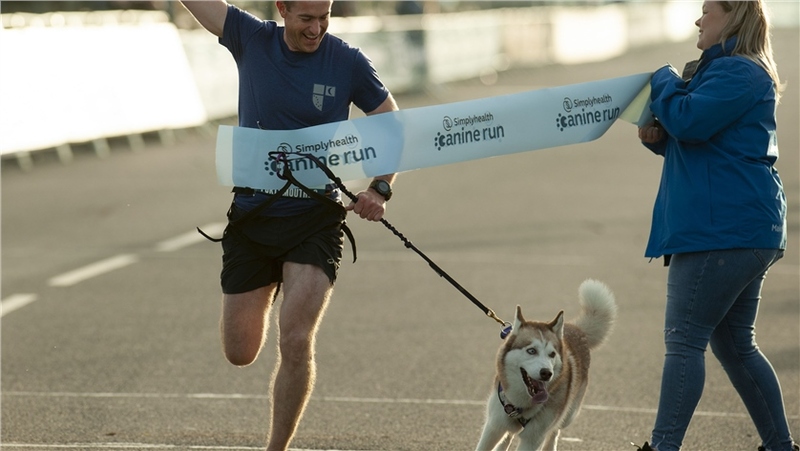 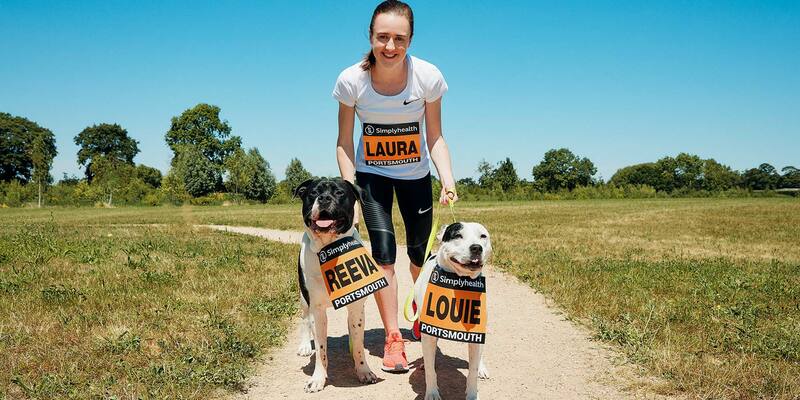 Part of the Simplyhealth Great South Run weekend, it’s the perfect opportunity to be active with your canine companion. 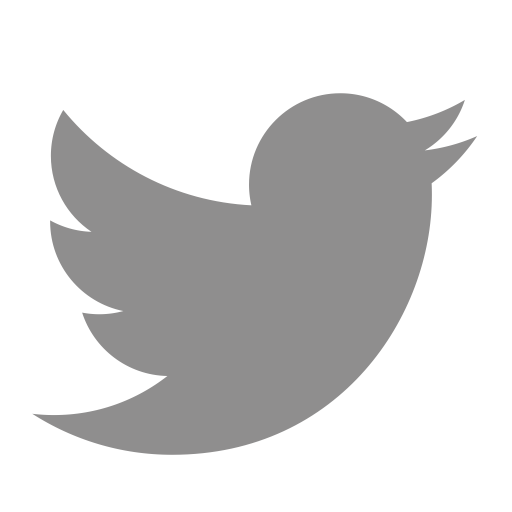 Places are limited, so get in quick. 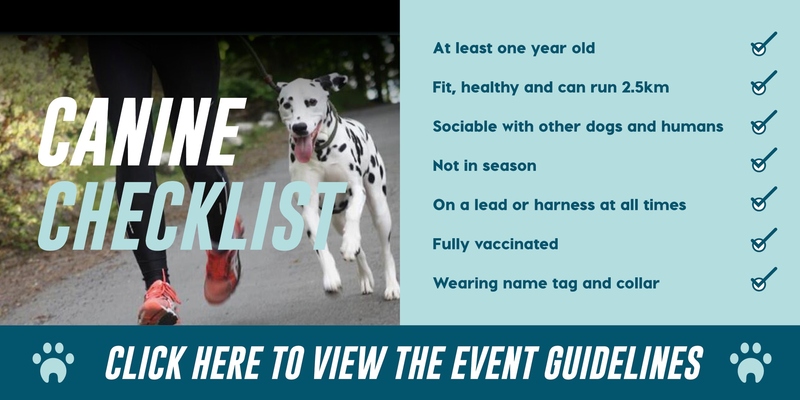 Please note: One dog per participant only. 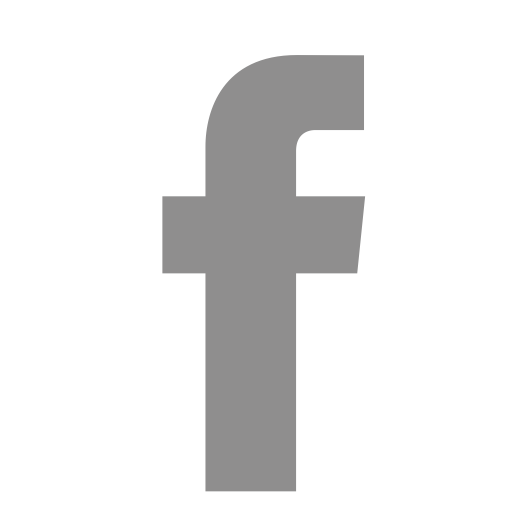 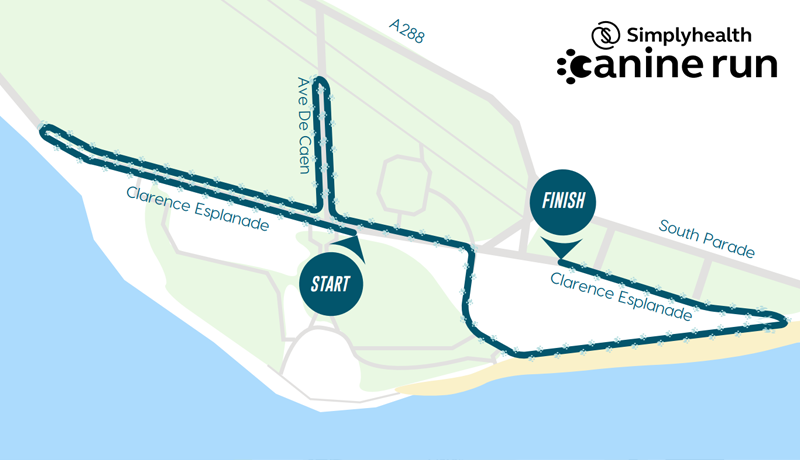 The flat 2.5k course starts on Clarence Esplanade, opposite the Skate Park, and heads west past the D-Day museum and Blue Reef Aquarium. 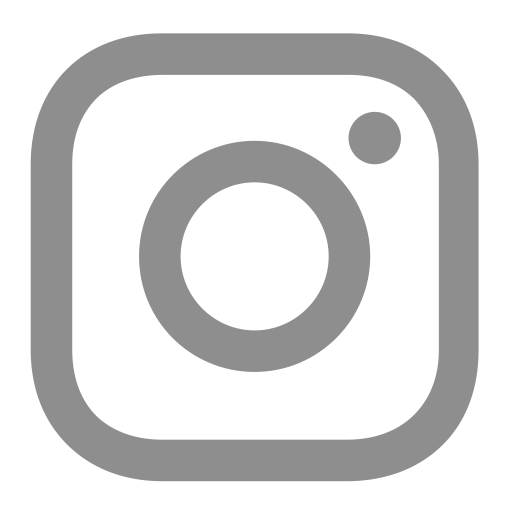 You will reach a turnaround point next to Mozzarella Joes, before heading up Serpentine Way and down Lady’s Mile to reach Avenue De Caen. 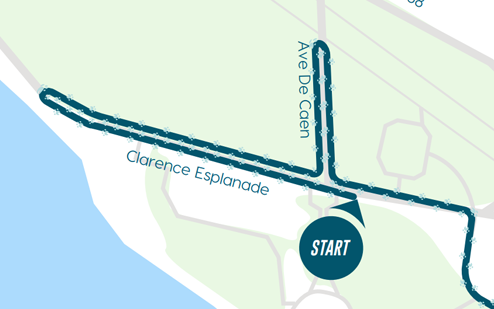 You will then cross the finish line on Clarence Esplanade.